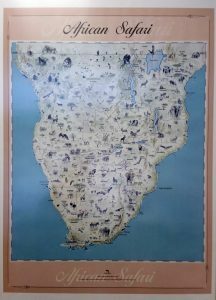 Our Africa… A Fascinating Journey – Africa has become a popular destination for many of our travelers – with good reason! 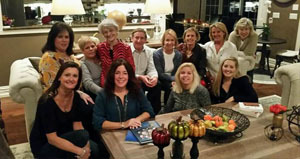 Our president Berry Versfeld, a native of South Africa with strong ties to his homeland, loves sharing the ins and outs of traveling to the continent. Here, some of our travelers tell us about their fabulous journeys. 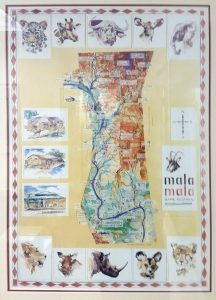 We think this will help others planning to visit Africa…. 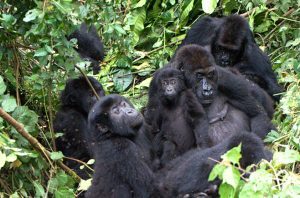 Travelers Diane and Ted shared this lively account of their African Adventures: The gorilla trekking was absolutely over the top for each of us. That we could get so close and be completely ignored (I think that there were about 11 of us) was spectacular. Cameras were clicking…A mother gorilla and her baby came careening down the trail and bumped into me. We’d been warned by Cyn that the way back we would expect slip and slide, but it apparently hadn’t rained for a couple of weeks, so the ground was blessedly dry. No slipping! After our treks, and with lovely accommodations in each place we stayed, we’d arranged for a flight to Ethiopia, to visit the single mom of the student we are supporting through our local private university. Mekdi is now half-way through her junior year, all As, which makes us feel proud for her. 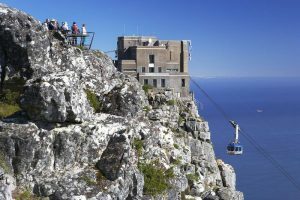 Travelers recount their special trip to South Africa: Recently, we returned to South Africa on a magical journey (they always are) and wanted to share some of the highlights. SA Airways took good care of us in their business class section; no sleep but the movies and the service were up to expectation, with French champagne and a marvelous South African wine. Upon arrival in Cape town, our Ellerman House driver whisked us off to our residence for two nights; unfortunately not more, as this property is everything their website says it is – Moet on arrival, cocktails before lunch and dinner and a view to die for. Staying at the elegant, waterfront Cape Grace for two nights was wonderful; their car is available for local trips. We visited the always spectacular Table Mountain. The Blue Train overnight was fun, the accommodations ample and the food ample, not great – the local wines made up for it. The Saxon Hotel driver met us and transported us to this modern, sophisticated establishment with large rooms and the best restaurant in the country, the 500. Their service is, as expected, impeccable. Onwards to Rattray’s at Mala Mala, wonderful accommodations and the animals always turn out to impress us. Our young, knowledgeable ranger took every precaution to ensure we weren’t the lion’s next meal and it is always amazing to experience wild animals up close. At Ulusaba, the Branson camp, we had an affable, loquacious ranger who regaled us with his many close encounters, mainly with elephants. Their chef, Jess, made every meal a special culinary delight and the view from the property is stunning. 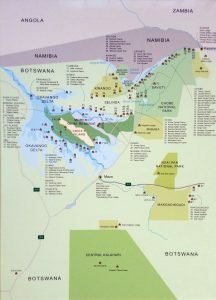 Back to the Saxon, then on to Botswana, Savute Elephant camp, where our ranger, Watch, took us wherever game had been spotted and we sighted a pair of lion cubs frolicking on top of a termite mound, determining who was going to retain possession of the fabulous viewpoint. Back to Johannes burg, two nights with relatives and then back home on the non-stop SAA flight. This time I took a sleeping pill and was rewarded with 8 hours – enough to be back at the office on the day of arrival at JFK. As the saying goes: You can never brush the dust of Africa off your shoes… So… I know you will return someday. Special experiences for all in South Africa, from Gabriella: I always feel so fortunate to be able to return to Africa again and again…though it’s usually for work, this past week was focused on pure immersion in South Africa with my family and some dear friends who were seeing this magical country for the first time. There were 3 children in total, ages 6, 7 and 13 and it was beautiful to see how overwhelmed they were with the incredible experiences that this country is filled with, and if you’re looking for ways to influence potential family clients on what there is to do and see in South Africa, I’ll share one of our most special days with you. Your Dream Trip Starts Here! As part of the planning process, we share our personal experiences with you in order to determine what you’d like to see on your trip. The possibilities are endless, and the journey starts right here in our office! Contact our resident Africa expert Berry Versfeld, or our other travel experts to learn more.